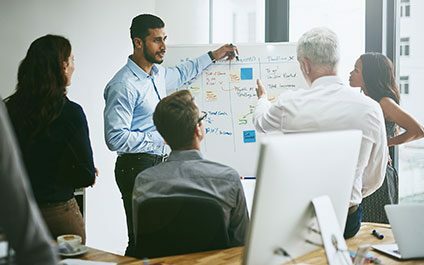 The terms 'business continuity' and 'disaster planning' are often used interchangeably so much that people often forget that they serve a different purpose, but the importance of proper understanding and planning of these terms are paramount. This should be a major priority, yet a lot of companies lack the proper strategy that is necessary for times of a disaster. Without proper understanding and planning, it puts a company in a vulnerable position when a disaster occurs. An IT support provider in Fort Lauderdale can teach you how to properly plan in case of a disaster. Let's quickly define these two similar terms. First, business continuity planning (BCP) simply refers to the emergency plans a company has in order to continue in the event of a disaster. It centers around how the companies' most important processes and functions can continue after the disaster. BCP focuses on avoiding disaster and operating with minimal downtime if a disaster occurs. Disaster recovery (DR) involves the processes a company must take immediately after a disaster. While BCP involves the processes of the business as a whole, DR focuses solely on technology infrastructure. Business leaders must understand the potential risks that may occur. Understanding these threats and prioritizing them is a crucial part of the continuity planning. It provides guidance on what assets are at risk and what systems should be protected. Once the priorities are found, it is important to understand the speed of recovery if these are threatened. Leaders must take a look at their environment and infrastructure to see what is a necessary function and what can wait to be restored. An IT support provider in Fort Lauderdale creates a reliable group of leaders specializing in these things. This ensures that the company doesn't take a casual attitude about the planning. Management should constantly stress the importance of the plan so the employees in each department can understand their roles and be aware of what to do in case of a disaster. The plan is likely to remain on the minds of everyone in the company if business leaders make it a priority with reviews and testing. Once this team creates the plan, it is time to test out its strengths and weaknesses regularly. With every little test, shortcomings and weaknesses are seen that the company doesn't have to adapt, strategize, and make their plan stronger. This gives the company peace of mind and clarity in their plan. The constant updates ensure that the company is ready for disaster and make improvements wherever necessary. If you would like proper BC and DR planning in case of a disaster, contact us now at Nexxen Technologies. We're an IT support provider in Fort Lauderdale that can provide you a reliable plan that protects your business in case of a disaster. We safeguard your business with a strategy that promises to protect from all possible outcomes.